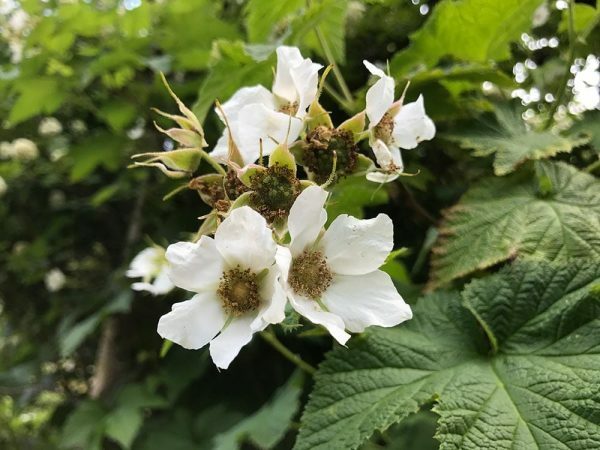 Thimbleberry is a ubiquitous flowering woody shrub of the Pacific Northwest, and although quite common, provides a stunning display of soft, velvety green foliage and delicate white flowers. 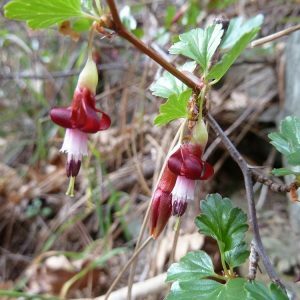 The spring floral display is followed by small, edible berries with a sweet-tart flavor, loved by both birds and humans alike. 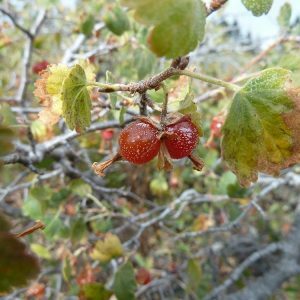 Thimbleberry grows from 1′ to 8′ tall and spreads by rhizomes to create large, dense colonies. 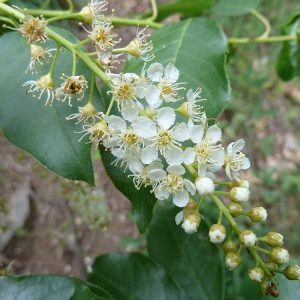 If growing in cool climates or moist locations the plant can thrive in full sun, but it prefers part shade and moderate levels of water in more interior climates. Tribes in Western Washington gathered young shoots and ate them raw, and also feasted on the berries mixed with blackcap raspberries and other native berries. Thimblebery is pollinated by native bees and beetles. 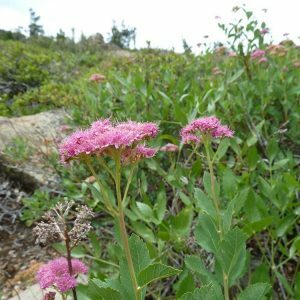 It makes a great restoration plant, stabilizing slopes and revegetating disturbed areas quickly. It is also wonderful in the woodland garden, but give it some space because it likes to spread! 30 days cold-moist stratification. Sow outside in fall or early spring.